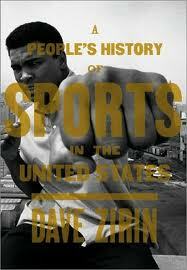 ALL ABOUT READING: Some ‘Uncommon’ Sporty Bookish Expectations! During the Commonwealth Games, one important addition to the whole event had been exhibitions and other programmes put up by many art and literary organizations of the city. Sports and its traditions in Indian art, literature, painting etc were explored and synchronized with the main sporting event. However, one wonders whether these lateral interventions were flashes in the pan as once the Games got over, the creative world got back to its own shell with the sporting arena going the other way as is the norm in our society, where sports is taken purely as a physical activity as distinct from creative or intellectual activity. If this is going to be the trend then it would be the most unfortunate thing to happen. Because India cannot possibly hope to become a major sporting nation without writing and researching about sports and the customs and traditions and folklore and healthy ideas attached with it. To put it differently, can a nation hope to become a truly committed sports country if its intellectuals and creative writers are not game for it? This question needs to bother anybody who is looking for some kind of revival or rejuvenation of sports in the country as a fall out of the Commonwealth Games at Delhi. Beyond the arena of track and fields, the 1982 Delhi Asian Games are distinctly remembered for the revolution that it brought about in terms of penetration of television technology among the masses with the classes switching over to colour television technology. Can the Commonwealth Games persuade the research organizations, universities, publishing houses etc. to take up the study of sports on a panoramic scale so that we as society can understand the great role that sports and sportspersons play in the making of a merit-based, equitable and inclusive social framework? The sportspersons, that is the ones who are active on the fields, are generally patronized by our railways, airlines, banks, corporate sector, PSUs and others. But the organizations that are engaged in creation of knowledge are generally found missing on this count. It may be asking for too much for the creation of multi-disciplinary departments in our ‘mainstream’ universities for sports research and writings; patronization of active and budding sportspersons by research and higher education organisations like IITs, IIMs and central universities, research foundations etc to follow and study their career growth as ongoing case studies; well-thought out and active support by publishing houses to the publishing of such studies for the general masses etc. Such perhaps ‘uncommon’ expectations from the Commonwealth Games may sound utopian. However, the fact of the matter is that no human activity, and sports no less, can stand on its own in true sense if it is not supported by a genuine and serious thinking about its relevance and significance by the writers and reading public of the day. In colleges and universities, it is quite common to talk about sports in terms of the ‘quota’ that is offered to the sportspersons to get admission in various courses and also for appointment in jobs at various levels. The margins on which such admission takers or job aspirants are relegated are something that need not be overemphasized. This mindset can be corrected only if the centres of higher learning can free themselves from shackles of intellectual prejudices and take up sports studies not only as a separate field of study but with multi-disciplinary approach. Biographies, autobiographies, memoirs of sports persons, sports trainers, coaches, commentators, linesmen, umpires, referees, physiotherapists, filed curators and other such host of professionals involved in the creation of the ‘entertainment’ of sports with post-colonial analysis, dalit and feminist approaches, sports events as microcosm of social and cultural melting pot---the possibilities and expectations of research in the field are immense. Some work is still being done on these lines but the gaps are too many and it would require the entire spectrum of thinking public, intellectuals and governmental and non-governmental creative agencies to make it a common pursuit to put the whole debate of creating a culture of sports and sports playing and loving society right in the foreground of public debate. Is anybody game for it as a corollary to the euphoria of the Commonwealth Games and also the Asiad? Indira Gandhi Institute of Physical Education and Sports Science, New Delhi, College of Events & MEdia, Pune, etc. are offereing courses in sports management. International Institute of Sports Management, Mumbai is the first Indian institution dedicated to education and research in sports. 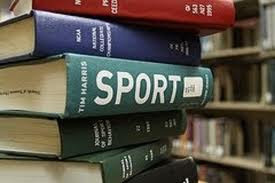 I am sure, scope of sports management education will expand and with this sports literature will also grow both qualitatively and quanititively.